I was looking for a great scan that could give me the fantastic and accurate results, which is fast and efficient and one that has a retrieving capacity to safeguard my interests. I didn’t know that I could find all these in one tool. I was impressed by the Otc 3111 code reader scan too as it is all I needed in a scan tool. Based on your budget and wants, you know what type of scan tool to go for. 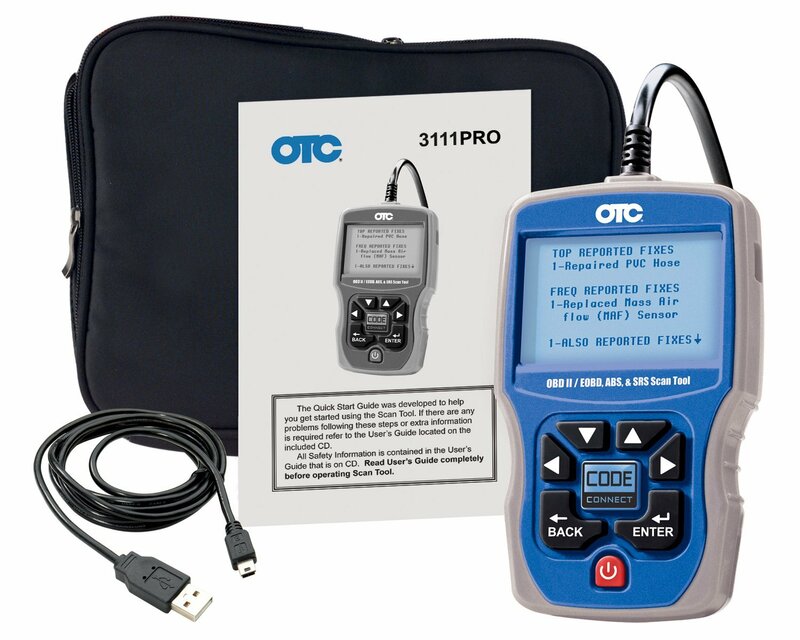 There is no scan tool that can provide a range of functions as the Otc 3111 does. It’s one thing you should never miss out on your car. 8t is more than economical and efficient. You can be able to read several code parameters and other wide-ranging reading capability. Its operation is easy; you just have to plug it in, and it gets working. This is made possible by the plug and play function. The component locater is designed to provide text descriptions to indicate where components are located on the vehicle. The locater is what makes the scan tool to be very precise when scanning data to help you get the right encoding data. It gives the most accurate and the best results that make you proud of the tool. The tool comes with a user manual that is trilingual. It has been written in three different languages, therefore, it is easier for on to understand what is written in the manual. The manual has instructions on how to set up the tool and how to use it. The instructions are simple enough to understand. It is a plus when dealing with technicians of diverse nationalities and backgrounds. It features an autoID which automatically identifies the vehicle being scanned, so there is no need to enter the specific vehicle information. This makes wok easier for you because you don’t have to go through the trouble of describing your vehicle. It also helps you know all the details of your vehicle in case you didn’t know as the scanner gives you all the details. The auto scan gives the motorist quick results at any moment the scan is initiated. This makes solving issues with emissions to be quick. You need to manually scan the vehicle; you only need to touch a button, and the scanner tool does the work for you. This makes it easy to operate and saves a lot of time. You know what to go for when you need quick results. The tool is compatible with all the 1996 and newer domestic, Asian and European cars and light trucks. It is compatible with almost every type of vehicle. It offers a variety of functions that can apply to many types or rather models of vehicles. There are 3 million verified fixes at the touch of the button the code reader scan tool. It revolutionizes vehicle repairs, and the code-connect information takes vehicles repairs to another level. Q: What type of cars is the OTC 3111 compatible with? Q: Does the otc3111 make parameter changes? Q: Is the tool bidirectional or does it only functions in one direction? A: Yes, the tool can function in two directions. So it is bidirectional. The otc 3111 is a unique scanner; it does pick up the codes that no other scanners can. This makes it stand out from the others in the market and very much worth the purchase. There is no other tool in the price range that can touch the functionality of the scanner tool. It is second to none. The only thing you need to do is fish out some cash and do some shopping. You can’t be left out alone since every car owner owns the scan tool. You can never go wrong with the purchase; I promise you that.